Barack Obama’s Immigration Reform for Youth: A Dream Deferred? The widespread approval of the Obama administration's recently announced immigration policy initiative—and the profound joy felt by large numbers of unauthorized migrants and their allies and advocates in the United States—is understandable in many ways. But the happiness should not cloud our collective ability to see the serious limits to Obama’s policy change nor, more importantly, dilute energies pushing for more far-ranging transformation of a fundamentally unjust system. Yannick Grijalba would seem perfectly suited to benefit from the immigration policy reform announced by the Obama Administration on June 15, one that will postpone the threat of deportation for many young people living in the United States without government authorization. According to his profile in an Associated Press article, Yannick arrived in northern California from Guatemala 11 years ago, speaks fluent English, and became an honor-roll student at his high school, where he was a member of the wrestling team. Now 18, he dreams of going to a university so he can study architecture. It is the promise of temporary work permits and a right to remain in the United States for youth who qualify that has led to copious praise for Obama’s initiative from many quarters. Such approval—and the profound joy felt by large numbers of unauthorized migrants and their allies and advocates in the United States—is understandable in many ways. Any relief to, and openings for, even a fraction of the millions of individuals who live in constant fear and deep insecurity due to the threat of deportation is to be welcomed. But the happiness should not cloud our collective ability to see the serious limits to Obama’s policy change nor, more importantly, dilute energies pushing for more far-ranging changes of a fundamentally unjust system. What the policy will do, in brief, is to allow unauthorized migrants to apply for “an exercise of discretion”—specifically a deferral of their would-be deportation for a period of two years—if they meet certain conditions. These include: the individual must have arrived in the United States before the age of 16 and be no more than 30 years old; they have to have been in the country continuously for at least five years prior to the announced policy; and they must be enrolled in school, a high school graduate, or an honorably discharged member of the U.S. military. Estimates vary as to how many individuals can potentially benefit from the policy—a whittled down version of the Development, Relief, and Education for Alien Minors (DREAM) Act—but they hover around 800,000. Regardless, what’s also important is how many young people the policy’s parameters exclude. Take the age limit, for instance. The DREAM Act (at least in terms of the version voted on by the Senate in 2011) would have allowed individuals who were up to 35 years of age on the day of its enactment to benefit from the legislation. The Obama administration’s policy directive cuts this age by five years—for reasons that are unclear—eliminating what are likely tens of thousands from potential eligibility. 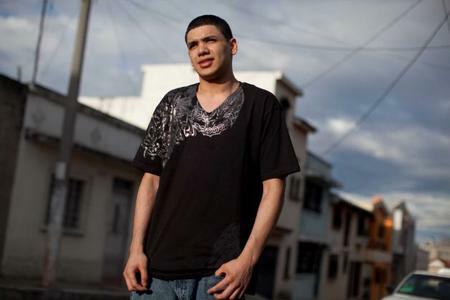 Then there is the undoubtedly very large number of individuals already sent into exile under Obama’s recording-setting regime of “removal.” Among them is Yannick Grijalba: U.S. officials deported him to Guatemala just two days before the administrations policy shift. There is no mechanism in the announced policy to allow these deportees—who, were they still in the United States, would be eligible for this new “deferred action process”—to apply from abroad and reverse their status. What constitutes a “significant misdemeanor” is anyone’s guess as it is a phrase—one seemingly invented by Obama White House—without legal content. Similarly, who exactly is a threat to public safety is a category with very elastic boundaries, ones determined by whoever happens to be in the position of judgment. Given the huge numbers of youth of color who are arrested for and charged with all sorts of frivolous matters, or effectively labeled as menaces to society, this lack of precision opens the door to a large quantity of denied applications. This is aggravated, as immigration lawyer David Bennion points out on the website Citizen Orange, by the lack of due process afforded to applicants. While applicants can request a supervisory review of an initially rejected application, there is no right to a formal appeal. We will thus “likely see many of the same due process problems that we have seen with the prosecutorial discretion policy,” the one announced last year that was supposed to lead Immigration and Customs Enforcement (ICE) and the Department of Homeland Security (DHS) to focus on its “enforcement priorities”—those determined to be threats to national security and public safety—and should have meant that Yannick Grijalba was left alone. Under the new policy, Bennion asserts, “There will be no impartial adjudicator, no right to meaningful review of faulty decisions, and no formalized way to present and evaluate evidence or legal arguments.” This augments the risk involved in even applying for a work permit and deferral, especially for those whose presence DHS does not yet know about. Even if someone’s application is successful, the resulting right to stay and work is only for two years. Moreover, that temporary right does nothing to protect others in their family—say, their parents—who are unauthorized residents. What happens to successful applicants at the end of two years is anyone’s guess. What is certain is that the policy does not allow a pathway to legal permanent residency and citizenship. While many observers assert that the new policy opens a door that will be impossible to close, that the temporary semi-regularization of status will eventually lead to more far-reaching changes, the future is unclear. President Obama suggested in his speech announcing the initiative that, because of the temporary nature of the measure, Congress should pass the DREAM Act this year. Whether the new measure will invigorate efforts to ensure such an outcome or deflate them is yet to be seen. But already there are indications that Obama has reaped significant political benefit. While some in the immigrant rights movement are skeptical of just what the initiative will mean and continue to fight for more transformational polices, many Latino voters who were upset with his administration’s immigration policies and practices now seem willing to embrace his re-election. 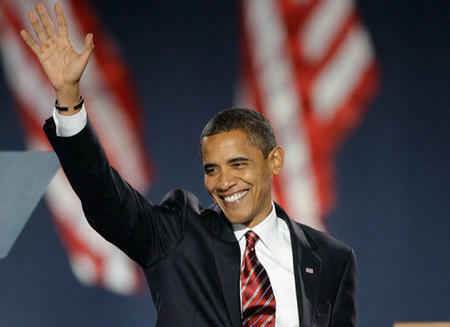 This is good news for those who want to see Barack Obama win another four years in the White House. But it provides little solace to the likes of Yannick Grijalba, now living in Guatemala City, jobless and without money, with an aunt, a pair of uncles, and two cousins, far away from his home in California, his dreams deferred and perhaps destroyed.